This is the second part in the multi-part series What home theater is right for me? Also known as a cinephile, the movie buff loves watching a wide variety of movies and strives to bring the cinema experience home. They might watch four or five movies every week. The movie buff will prefer a home theater setup targeted at movies with little consideration for video games and broadcast television. A home theater for a movie buff must feature surround sound audio and the largest screen size to fit in the given room. In addition to the audio/video components a home theater for a movie buff might also include acoustic room treatments, lighting control and even cinema seating. The first aspect a movie buff should consider is where the theater should be located in the home. Most people just assume the living room or family room should be where a home theater is set up, but a true cinephile is less concerned about casual viewing and more with the best quality home theater experience. We suggest using a smaller room dedicated to the home theater. But why shouldn’t the big living room be used for home theater? Most main living spaces are large and cavernous with lots of reflective surfaces; a smaller room provides less sound reflections, doesn’t require large speakers, and doesn’t require as large of a screen either. Not only does the quality of the sound improve, but less money has to be put into the equipment – or an equal amount of money can be spent on higher quality equipment. The trade off is you will likely have fewer seats to share the theater experience with friends and family. Another consideration for the room is carpeting or rugs. Hard floors are attractive and easy to maintain, but they also provide a lot of reflective surface which produce echos, harsh high frequencies and weak bass. A smaller room with carpeting will provide a tighter sound with better midrange audibility and less hearing fatigue. If you do happen to have hard floors, a large, thick area rug will work wonders. To improve the audio experience further, introduce absorptive materials on the walls, especially the side and rear walls. Bookshelves full of books and tapestries or paintings work in a pinch to absorb and diffuse sound waves. Take it up a step further with professional acoustic treatments which can be had at affordable prices. You don’t have to completely cover the walls, just a few panels spaced out can provide great sound absorption and even look attractive. If your room has windows, include heavy shades to both control the light and absorb sound waves. Glass is very reflexive and sunlight can completely washout a screen. Floor lamps should be used for lighting as they provide diffuse light without being direct. We prefer a lamp on the front wall away from the TV and another one by the seat to provide reading light. A dimmer is best so the light can be very low to provide enough light to not strain your eyes nor wash out the screen. What equipment should the movie buff buy? This whole series is about compromise. We could tell you what the best product on the market is, but then we’d price these systems out of the market. This is realistic budgets for even those not in the middle-class. We’ll begin with the screen as it’s the focal point of a home theater. Without a doubt the preferable display for home movies is a projection system as it provides a real theater experience. But for most of us this solution is both impractical and too expensive. In a small room dedicated to home theater a 55″ plasma HDTV is probably large enough. If you are in a living room a 65″ plasma HDTV is closer to what you’ll need in the average sized room. We recommend buying HDTVs in March-April of every year because this is when the new models are released and the old models get really cheap. 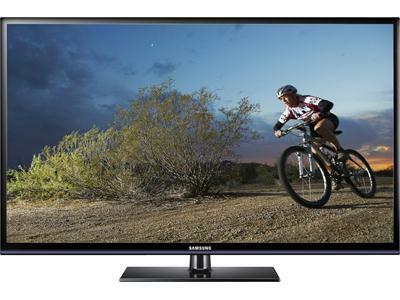 For this example we found a Samsung PN60E530 60″ plasma on Amazon for $999. I mentioned plasma twice, and this is not a generic term for flat panels. Plasma TVs have better black levels and color accuracy than LCD/LED HDTVs. They are the clear choice for movie buffs. For surround sound the movie buff might be interested in 7.1 channels to reproduce the maximum amount of soundtracks. However, the vast majority of movies are in 5.1, so you might consider investing what would have been an additional pair of speakers into acoustic treatments. Because we’ve already picked a room that is smaller in size with acoustic treatment, less air will need to be moved to create higher SPL levels meaning smaller, cheaper speakers can be used. 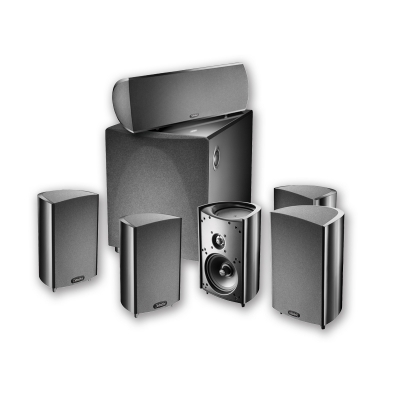 The Definitive Technologies ProCinema 600 5.1 speaker system comes in at $749. To power the speakers and to provide source switching and audio/video processing, a surround receiver is the heart of the system. In this example we need a 5.1 channel receiver with automatic room calibration. In addition, this receiver will provide AM/FM radio, internet radio from Pandora and Spotify (plus more), and the ability to add Bluetooth. For the budget-minded, and even for those who don’t need a budget, Onkyo provides the best bang for the buck. The soon-to-be-released Onkyo TX-NR525 provides all of these features at $499, plus it can be controlled from your mobile device. Your movie sources will include a Blu-ray Disc player and a Roku X3. It doesn’t really matter which BD player you get because your online streaming will come from Roku; and since this series is about budgets and compromise the Oppo player costs too much. In all, including some room acoustic treatments, this home theater will cost approximately $2,500. Another compromise can be had to save about $500 by getting one of Onkyo’s HT-S9400THX pre-built 7.1 channel home theater systems for $779 instead of the DefTech-Onkyo combination.